Lost your car keys? Or are they damaged beyond repair? Trying to replace them can be quite a hassle. It might not happen often, but when it does, you need to know who to turn to for automotive key replacement. The natural choice would be to turn to your dealership and get them replaced. However, many opt for this simply because they’re not aware of the alternatives available. 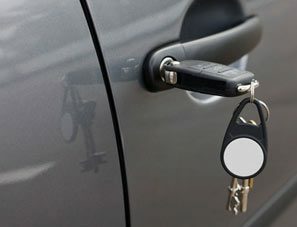 Automotive locksmiths can make car keys just as adeptly, in fact you’ll get the job done with minimal expenditure and in a short span. Dealership Vs locksmiths: What’s the better option? Dealerships are your authorized key providers and if you’re too wary of whom you put your trust in, then they might be your first choice. However, an automotive key replacement from your dealer will not come in cheap, costing hundreds of bucks, depending upon the type of the key. Also, the process might stretch on for a few weeks or days at least. If you’re located in a remote corner of Orlando, FL area, you might also have trouble finding a store. Locksmiths win over in all aspects; from the costs, to the delivery, to availability of workshops and more. However, you need to be careful with whom you hire. Any random locksmith will not do. For all you know, a copy of your key could be made surreptitiously to gain access into your vehicle later. Verify credentials, and hire a technician from a reputed firm. 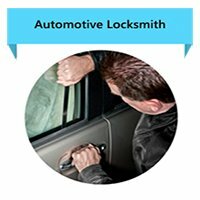 Where will I find a reliable auto locksmith? Thanks to our able team and our investment in cutting-edge machinery and tools, we’ve managed to help customers procure a replacement within an hour, sooner if it’s a standard key that needs to be made. Keys could be lost, stolen or end up irretrievably locked inside vehicles, robbing you of access. For this reason, we provide 24/7 onsite solutions. It doesn’t matter whether your car is parked in your garage or the side of the road, we’ll get there all the same and make an auto key replacement for you.